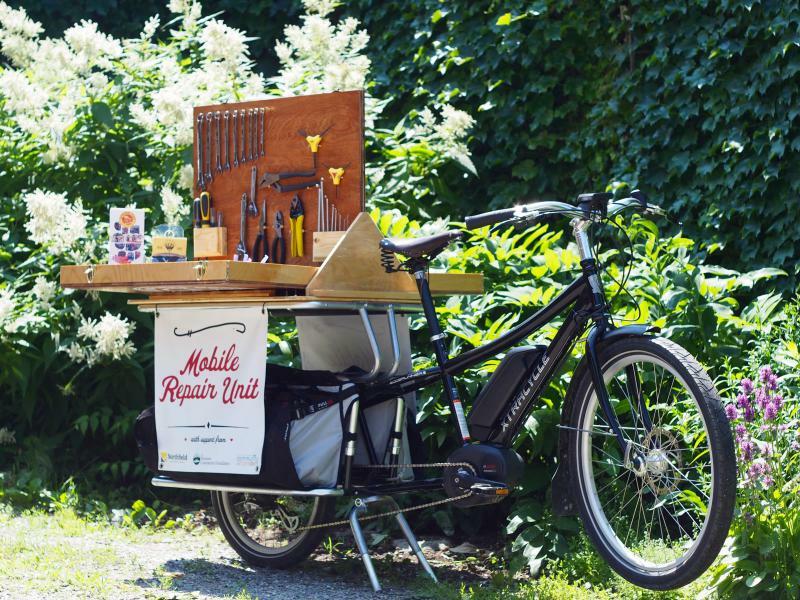 Our Mobile Repair Unit brings our knowledgeable, friendly mechanics and their tools to companies, schools, and events in the greater Burlington area -- by bicycle. Add a unique element to your conference, farmers' market, student move-in day, or outdoor event. Workplace bike repair is a great way to reward your employees who choose a healthy, sustainable mode of transportation for getting to work. 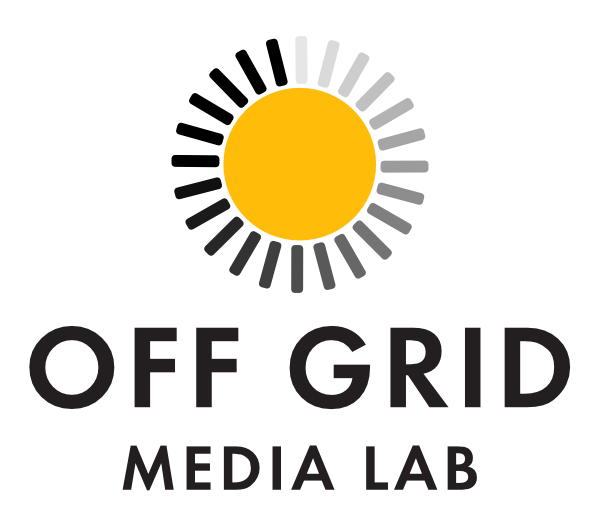 It may also encourage people to try bike commuting and alleviate parking pressure on your company. 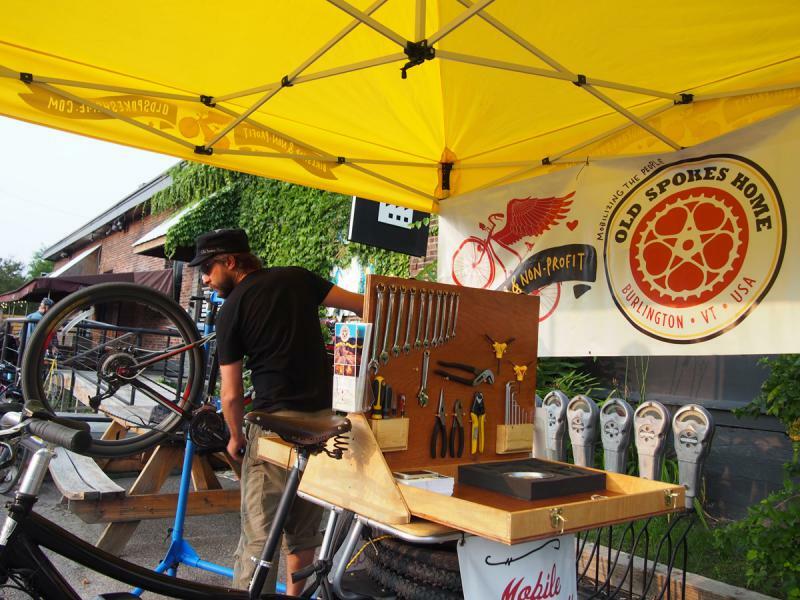 Eliminating the stress of making it to a bike shop for needed repairs or tune-ups allows employees to focus on their work and fill their personal time with more enjoyable activities than schlepping bikes to and from a bike shop. Hiring the Mobile Repair Unit to visit your company helps Old Spokes Home provide free repair service to people who may not be able to access or afford it. So, thank you! Let us make sure your people are safe on their bikes. We'll be on hand to pump up tires, lube up chains, make sure brakes are operational, and diagnose any other issues. We perform full assessments, make adjustments for improved performance, and perform small repairs. Price does not include parts which can be charged either to employees or the company. Empower your people to commute by bike, maintain their bikes, and gain confidence on the road. 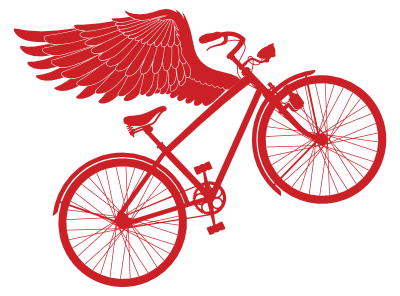 We offer different workshops covering basic repair and maintenance, on-road safety, and commuting by bike year-round. We partner with Spectrum's Multicultural Youth Program to train teens in basic bike repair and maintenance, and then provide work experience with the Mobile Repair Unit. 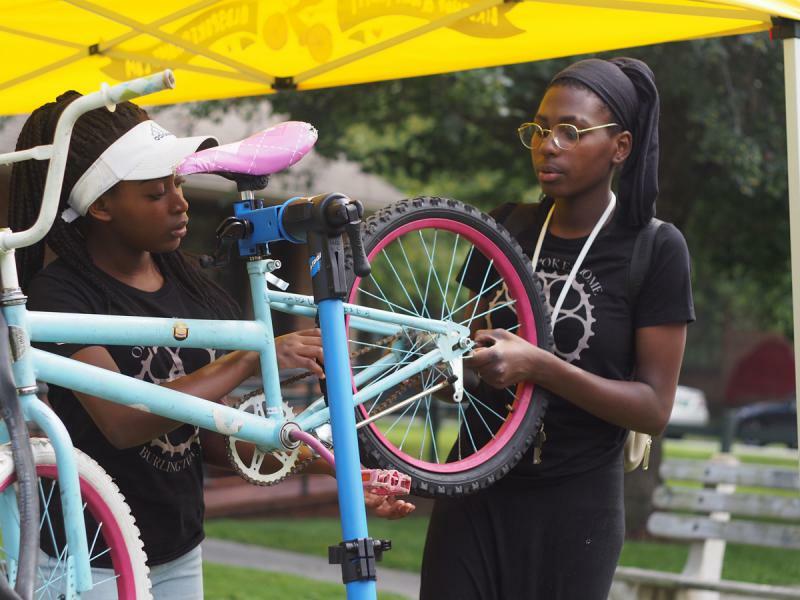 In summer 2017, the Mobile Repair Unit and youth mechanics-in-training visited Franklin Square and South Meadows throughout the summer to provide safety checks and free bike repairs to youth and residents. Check out the Burlington Free Press piece about it here. 2018 saw us providing services to these communities and more, and we'll be adding more locations in Burlington and Winooski in 2019. Thank you to Burlington Parks, Recreation, and Waterfront's Nutritional and Recreation Drop-In Programs for hosting us. For more information about the Mobile Repair Unit coming to your company or school, click here! For all questions or to get an estimate, contact Dan by email or by calling (802) 863-4475. We need two weeks advanced notice to schedule a visit.